Two Vietnamese brothers achieved an astonishing new world record for climbing the most stairs while performing a bizarre head-to-head balancing act. 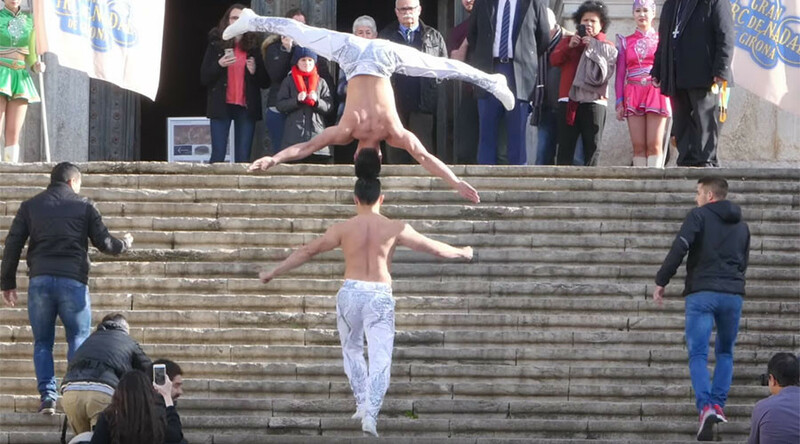 An incredible display of strength and stability saw circus veterans Giang Quoc Nghiep and Giang Quoc Co walk up the 90 steps of Saint Mary’s Cathedral in Girona, Spain. The real-life Vietnamese brothers can now stand proud as they more than tripled the previous stair record. A video of the feat shows how the duo were able to carry out the precarious maneuver in just 52 seconds. “We have been rehearsing this skill for 15 years. I have sometimes thought that I could not continue any longer, but we continue to go forward and overcome fear and danger,” Giang Quoc Nghiep told the Guinness World Records website. Guinness World Records has officially recognized the achievement.